Pat and Rick Jackson wanted to retire at 55—and thanks to moving to Ecuador, they’ve met their goal. Now, instead of Rick’s hectic travel schedule as a district manager and Pat’s long hours working in banking back in Philadelphia, they spend their time on two of their favorite activities: Rick’s passion for cooking, and their love of travel. 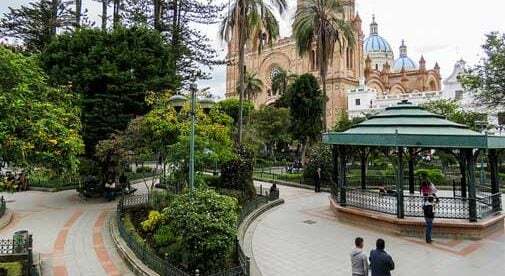 From their new base in Cuenca, a colonial city and expat favorite high in the Andes mountains, the Jacksons have taken at least 30 trips to various spots around the country. “We’ve gone whale watching on the coast, visited Inca ruins sites, made trips to nearby resorts, learned about the rose industry; there are a million places to visit,” says Pat. Their cholesterol is not all that has fallen since moving to Ecuador. “Living in Cuenca costs about 25% of what it cost us to live in Philly,” says Pat. They pay just $500 a month for their two-bedroom, two-bathroom condo in the Puertas del Sol neighborhood. It’s a 10-minute, $2 taxi ride or a 25-cent bus ride into the town center, and a 12-minute walk to Supermaxi, a large North American-style grocery store. Originally from western New York, the Jacksons have been married for 39 years. For much of that time they planned to retire early, but “because of the high cost of healthcare and how expensive it is to live in the States, we knew it wouldn’t be possible. So it prompted our move abroad,” says Rick. Having pored through many articles on the subject, they eventually chose Cuenca. 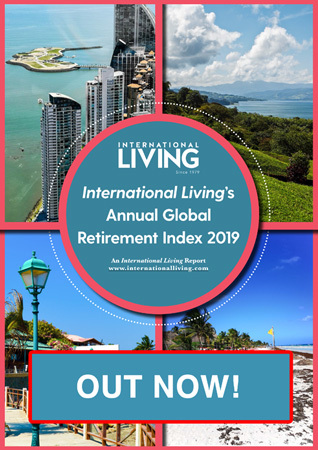 In 2013 the couple attended International Living’s Ecuador conference, and afterward they headed to Cuenca to see first-hand what it offered. The Jacksons now use IESS, the governmental healthcare insurance plan, for most of their medical needs. Their monthly outlay for this is around $80, and it covers both of them. Because doctor visits average $25 to $35 and medicines can be bought over the counter, they usually just pay out of pocket. They reserve IESS and an international insurance policy for catastrophic coverage. And, given the wonders of modern technology, staying in touch with family and friends back home is a breeze. “Even 3,000 miles away from Philly, we know more about what is happening with our family and friends than when we were working 60 hours a week,” says Pat.